Did you know that almost 40% of Americans unintentionally fall asleep during the day? Lack of sleep is becoming a national epidemic, and not getting your 7-9 hours per day can lead to dire consequences for your health. 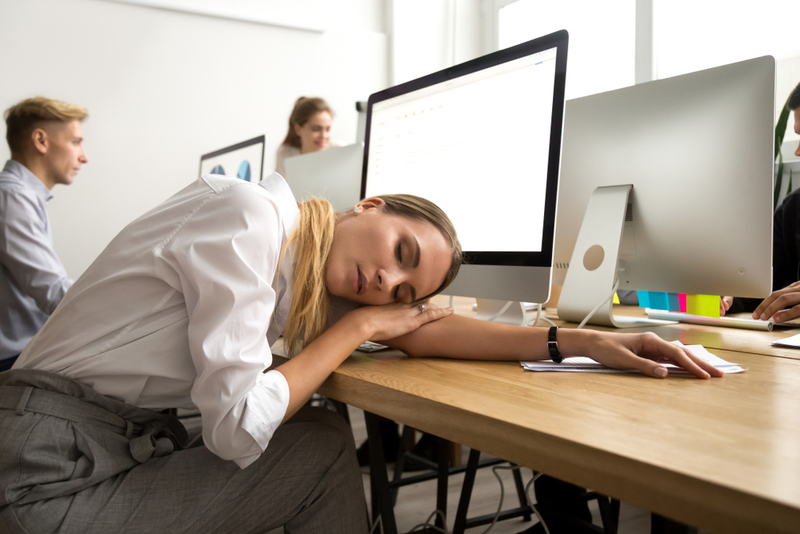 From extra strain on your organs to an increased risk of falling asleep at the wheel, the effects of not sleeping enough are as dangerous as they are widely varied. Discover how poor sleep also takes a toll on your oral health. Everyone has heard the recommendation that at least 8-hours of sleep per night is ideal, but many Americans are falling short of that amount. In fact, the number of adults who report problems sleeping and even sleep disorders is truly remarkable. Peruse these stats to see how lack of sleep is becoming a major problem in the US. Drowsy driving causes 1,550 fatalities and 40,000 injuries each year. 100,000 deaths each year are caused by medical errors, and sleep deprivation is a major contributing factor. Of the few habits that we follow on a daily basis, sleep is among the most important. It’s vital for repairing cells, resting our organs, and letting our brains recover from a day of stress and activity. There are also ways that lack of sleep can take a significant toll on your oral health. From the emotional damage that leads to overeating to the diminished ability to repair damage in your gum tissue, explore the ways that a lack of sleep can harm your smile. There’s no doubt about it — we don’t make the best decisions when we’re tired. This applies to everything from driving to eating — and both can lead to disastrous consequences for your body. When we skip out on sleep, we’re more likely to be short-tempered, irritable, and prone to anger and depression. In a state of being tired with impaired decision-making skills, we’re far more likely to eat junk food, sugary snacks, and use substances like alcohol or tobacco — all of which can be devastating for your oral health. If you’ve been lacking sleep and are feeling the emotional effects of it, you can prevent a lot of harm by simply realizing that your decisions are likely to be affected. For example, if you get an unusually strong craving for sugary snacks or fast food, stop and consider whether you’re caught up on your sleep or not. If not, then what you’re really craving is probably downtime so your body and brain can recharge themselves. Many Americans have insanely busy schedules and are pulled in different directions by family, career, financial stress, and other concerns. If you’re feeling vulnerable and emotional eating is negatively impacting your smile, you don’t always have the time to call off all your responsibilities and get the sleep you’ll need to feel like yourself again. In times like this, your best bet may be to plan an uninterrupted time later in the week that you’ll use to really catch up on your beauty sleep. This cycle of excessive stress causing insufficient sleep and vice versa can lead to a slew of oral health problems. The stress you’ll feel from not sleeping can cause a slew of unwanted dental problems. TMJ disorder, teeth grinding, and gum disease can all develop from excessive stress. While in a tired, stressed out condition, seeking help for your dental problems may not seem like a top priority. This can lead to worsening conditions that result in expensive treatments, tooth loss, and even surgery. In many work cultures, such as the military or high-pressure office jobs, working for many hours without rest and treating your own health as secondary is encouraged and applauded. But even if you’ve gotten used to only getting a few hours of sleep each night, it’s important to know that the problems that arise can get far worse over time. What Can Happen if You Never Get Enough Sleep? Whether it’s because you’re in party mode, up all night studying, or burning the midnight oil at work, sacrificing sleep is bound to catch up with you. Each of the seemingly minor dental problems caused by not sleeping come with the potential to become worse. When faced with the dilemma of how to replace your missing teeth, you may wish that you made it a priority to get enough sleep and keep your stress at a manageable level. 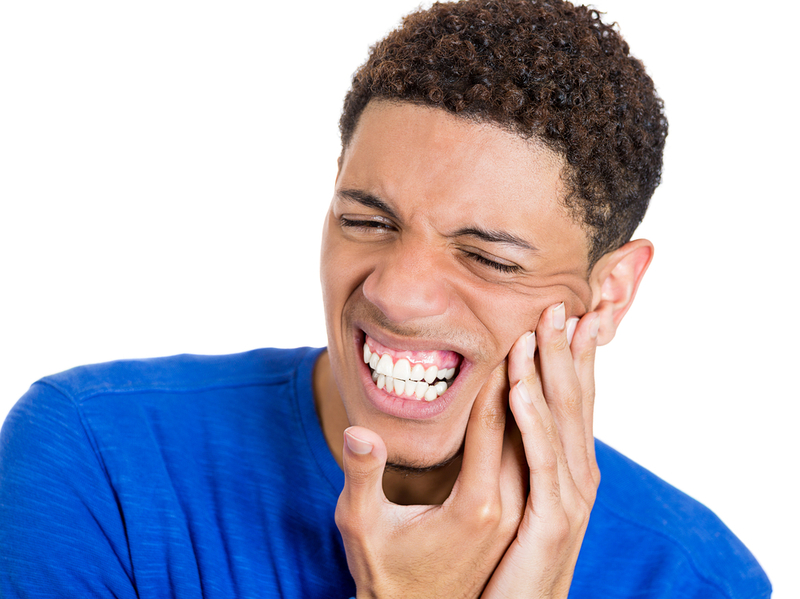 My Teeth Are Suffering – What Should I Do? Even if it’s the last thing you feel like doing, it’s vital to visit your dentist when you start to notice problems with your mouth and teeth. By ignoring a simple and easy to fix case of gingivitis, you may end up with missing teeth that require a long and expensive procedure to correct. Luckily, dentists like Dr. Keith Cooper specialize in restorations for these situations. Natural-looking dental implants can replace one or more teeth and you can even restore a whole arch of missing teeth with TeethXpress. Is Your Sleeplessness the Result of a Disorder? While almost 30% of Americans report difficulty falling asleep, the cause may be bigger than your own habits and decisions. Sleep disorders like sleep apnea affect millions of adults, and due to their subtle symptoms, they often go undiagnosed. If you would describe your inability to sleep as chronic and you feel like you’ve tried everything you can on your own, it might be time to seek medical help. A sleep specialist like Dr. Iregui in Gig Harbor, WA can help you diagnose and treat your condition, restoring your ability to sleep through the night. Running a horse or even a car without a break will greatly enhance the chances of problems, malfunctions, and failures. We humans are much the same. Without getting a good night’s sleep every night, we go through life feeling more emotional and stressed out than we have to and from our teeth to our heart, our health suffers. By simply making sleep a priority, we can reduce our likelihood of suffering from health problems. Getting the right amount of sleep every night will help you live the best possible life at your full potential.